Our partner organization, Inwater Research Group (IRG) recently developed a traveling trunk program that allows local students to get hands-on and see what it’s like being a real biologist. Each trunk contains model turtles, artifacts, tools of the trade, a lesson binder, etc., and is available to teachers for free. Students will work through four STEM (Science, Technology, Engineering, and Math)-based lessons, often stepping into the role of scientist to collect data and conduct research in order to create conservation initiatives. The program proved to be popular in the 2015-16 school year but IRG was hoping to expand its reach by broadening its geographic scale. 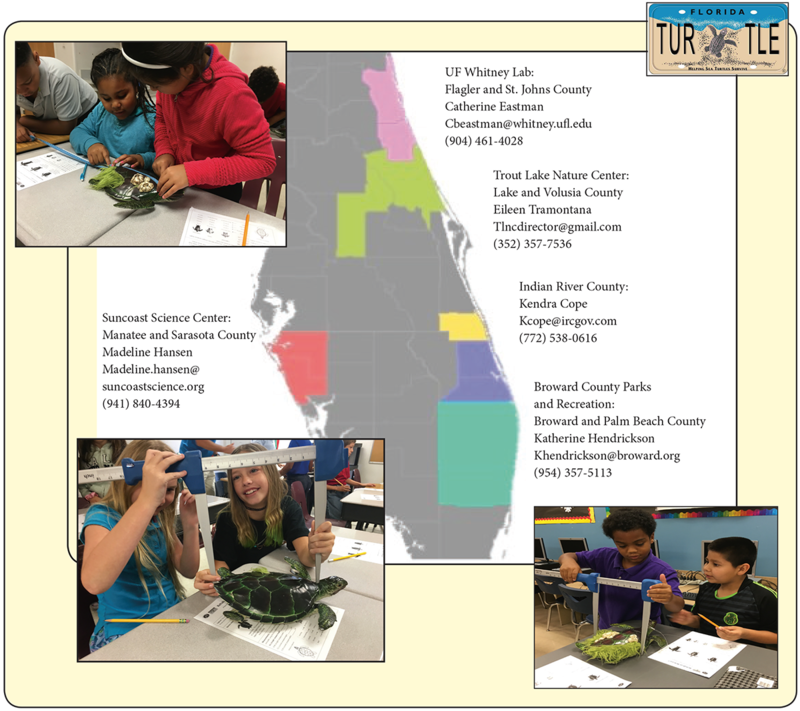 With generous funding from the National Save the Sea Turtle, as well as funds from the Sea Turtle License Plate Grants Program, IRG was able to bring this valuable program statewide. By partnering with other like-minded organizations, these trunks are now available free to teachers throughout the state.